is the key to the world. We use it to feel ourselves and communicate with others. Movement is the base of all learning formates, workshops and courses offered by Gabrielle Staiger. It‘s a platform where people meet and exchange, which gives space to for new impulses and ideas to grow in a manner just like nature touches us on an elementary level. Gabrielle Staiger‘s teaching and creative work uses Rudolf Laban‘s Movement Analysis as a base. Amrum attracts me again and again. It grounds me and shows me the essential things in life. 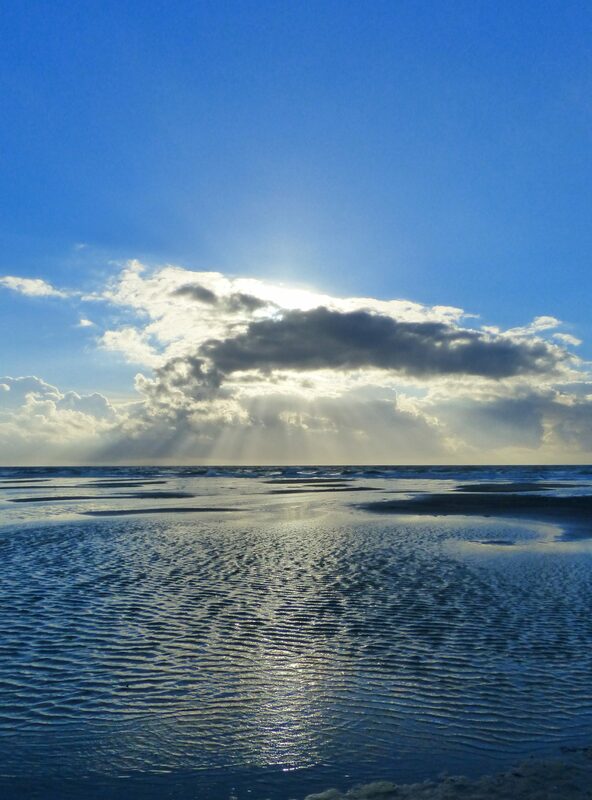 Amrum is a very inspiring place. Its vastness and the ever changing weather animate my spirit to run free and let go of daily stress. Try it out. I am curious to hear your personal experiences when encountering the island and its natural forces. 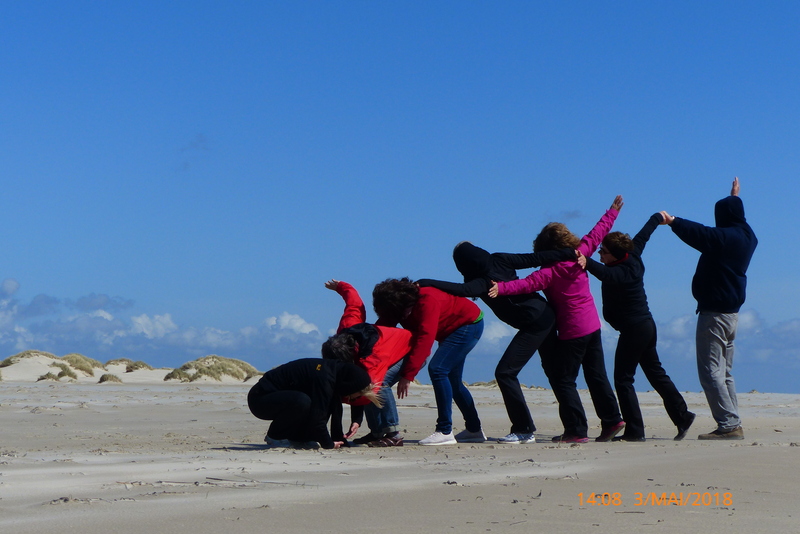 Goal of the project is to develop performancestructures (Movementchoirs), which we will perform daily in dialogue with nature on the beach of Wittdün on Amrum, a German island in the Northsea. Your findings and observations of nature‘s movement will serve as inspiration in the development of the performance. During the project you will learn methods and strategies how to translate your inspiration from public space into movement and feed it into a performance structure. Creative systems embrace the creativity and individuality of each participant and are suitable especially when you‘re working with diverse groups. Every day starts with bodypractise in order to warm up and prepare the body for the creative process. We will be working on the beach as well as in a studio. Please bring comfortable as well as water-/windproof clothing. Awakening the desire to dance is an educational programme/study leave recognized under the Educational Leave Act in Hessia and Northrhinewestphalia and suitable for educators, social workers, choreographers, artistis, art teachers, PE teachers and everybody who enjoys working with movement and who would like to expand their knowledge and methodology. At the end you will receive a certificate. Coretime of the project is Sunday to Wednesday (28.04.-01.05.) from 9:30-15H. During this time we work with movement in the studio and at the beach. 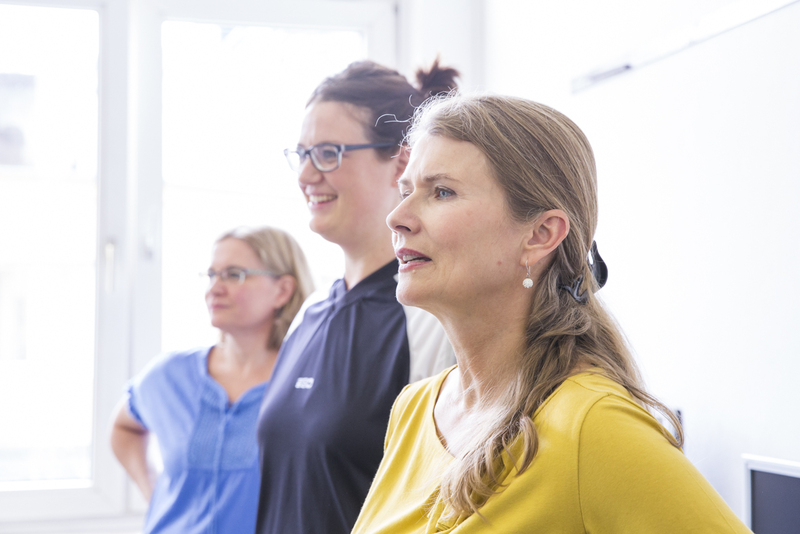 Partcipants of the study leave programme will receive additional theoretical knowledge after the coretime (Monday to Wednesday 15:30-17:00 and additionally on Thursday 02.05. 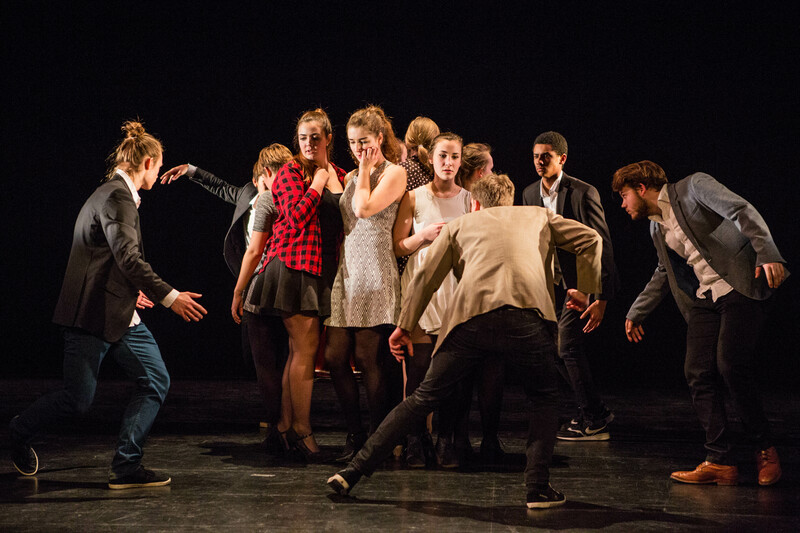 9:30-14H): The structural Modell of movement and how to create creative methods and strategies from it. There will be enough time for you to walk the vast beaches, witness how the light and the formations of the clouds change, to observe how the Watts emerges from the water – revealing its secret life and how it disappears again – or to experience the spectacular bird life. No previous experience required. Suitable for everybody between 18 and 70 years of age. You should still be well on foot. Every partcipant will take care of their own room and board. The project is limited to 16 participants. Helpful information about how to get to Amrum and the mobility on the island can be found HERE. I met Gabrielle during my dance teaching studies where she taught contemporary dance and movement analysis. She was my teacher and mentor for two years. I loved her classes as they encouraged my dancing as well as my analytical perspective on dance and movement giving me a lot of tools to develop, dance, compose, create… They had a great impact on me as a dancer, teacher or generally dance creative. Looking back I think Gabrielle was one of the most important teachers during my education and a main influence on the „dancer“ in the many ways I am today. Take the Ferry from Dabegüll Mole to Wittdün on Amrum or park your car at the parking lot near the ferry terminal and take the ferry as a pedestrian. Apart from costing less, you won‘t need a car on the island. To get around you can rent a bicycle, which is the easiest and quickest way to move around the island. Or take the bus (the bus doesn‘t run via the village Steenodde). You can either book your trainticket directly to Wittdün or you book a supersaver (Sparpreis) to Niebüll Station and change to the railbus, which will take you to the ferry terminal Dagebül Mole. On the railbus you can purchase a ticket for the railbus as well as the ferry. 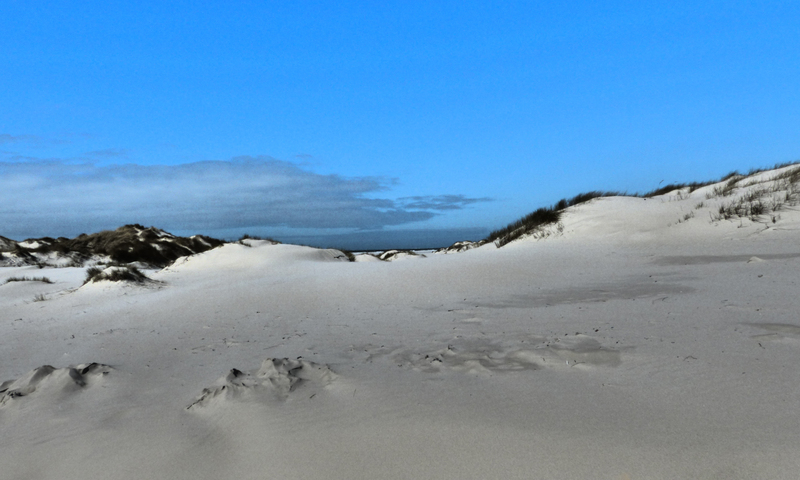 On www.amrum.de (choose „wohnen“) you can find a variety of accomodation options ranging from private rooms for a small budget up to luxerious holiday homes. There is also a Youth Hostel in Wittdün. According to the weather we will be working either inside the studio, at the beach, inside the dunes or in the forest. Please bring water-/windproof clothing. 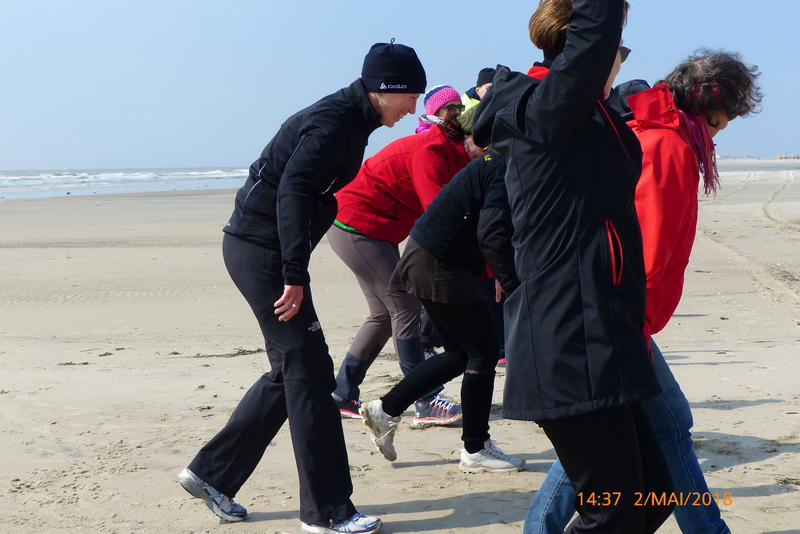 The studio is located at Amrum Spa, a health centre with a pool in Wittdün, which is close to the dunes. No shoes are allowed in the studio. Please bring socks. There are two Cafés located nearby: One of them directly inside the Amrum-Spa, the other just a few meters from there. There are Supermarkets in Wittdün, Nebel and Norddorf. Restaurants and Cafés you can find in all villages of the island as well as on some of the beaches. Awaken the Dance Spirit is a recognized educational leave program organized by Gabrielle Staiger in cooperation with tanzhaus nrw, Düsseldorf. The educational leave act embraces different requirements according to the individual state. Please inform yourself about the requirements in your state and talk to your employer. Due to the time requirements this educational leave programme will most likely be reckognized in your state and by your employer too! 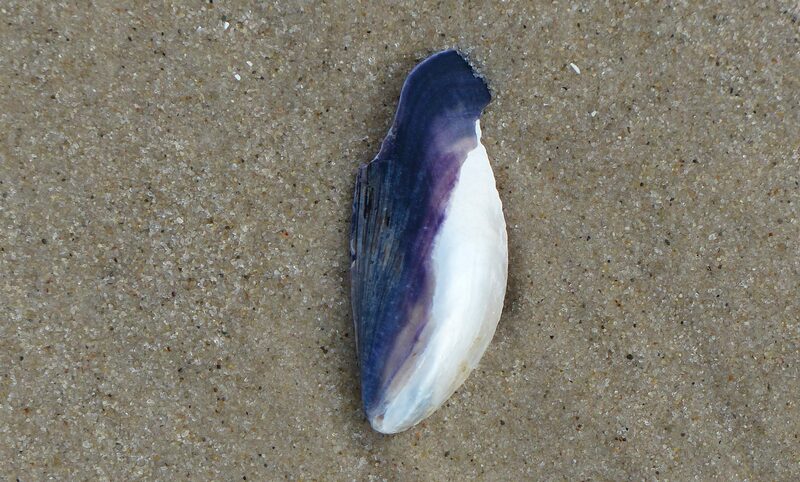 On Amrum there is a Deep Sea Climate. That means also that the wind is mainly blowing from the open sea, the air is low in pollutants and high in salt. 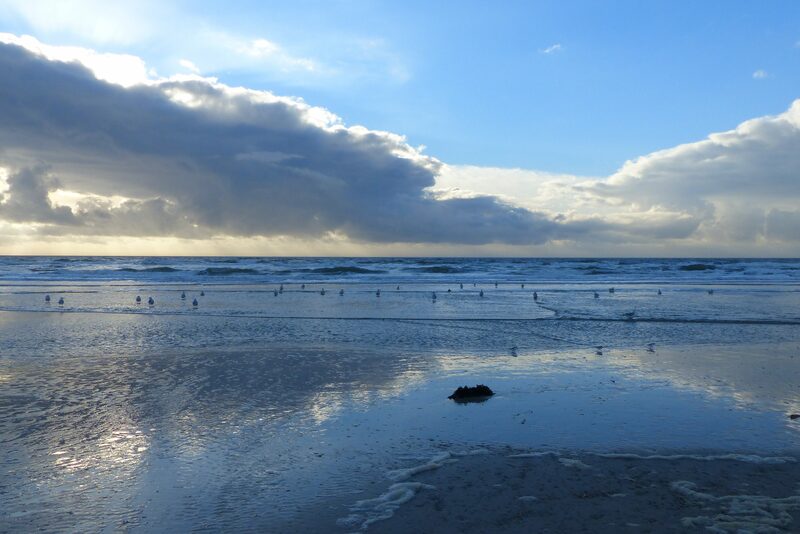 Because of this very healthy type of climate, Amrum is also an Air Spa for respiratory diseases. Although in May we have the highest amount of sunny days and the least amount of rain per month and year the weather can change rapidly. Clothing to protect you from rain and wind and an extra sweathshirt is recommended. Light shoes for working on the beach are recommended, for instance an old pair of trainers. During project times you are insured via tanzhaus nrw. You would love to come but you don‘t have time in May? You participated already and you would like to come again? No problem: You can sign up for a newsletter here which will inform you about this project as well as others to come.